Here is where you will find all our reviews for games and apps released on the Apple operating system: IOS. For people on the go or for those with little or scattered time to play games then the Apple products are a perfect way of getting that gaming fix when it’s needed. Typically games on these mobile systems are easily paused or otherwise broken up into small chunks that are just right for pick up and play situations. If you enjoy the animated series Adventure Time then you surely must have seen the episode ‘Card Wars’. Jake’s favourite trading/battling card game. Kung Fu Factory have taken the show and created their own version of Card Wars. It’s authentic, everything from the official voice actors to the monsters and characters from the show, it’s a fanboys dream. It’s colourful, the mechanics are well thought out and allow for a surprising amount of depth and strategy. It plays very similar to Magic the Gathering and the Pokemon card games. And for a couple of quid it seems like a great deal. However the one major flaw to Card Wars is it’s not very publicised ‘free to play model’. Essentially your given energy that you spend on playing the campaign mode. Peter Molyneux love him or hate him created some pretty amazing games over the years. Dungeon Keeper being one of my favourites, a refreshing step forward in the strategy genre back in the late 90’s. Having been bought out by Electronic Arts, his Bullfrog Studio was closed down and all rights to their games handed to said purchasers. After numerous pathetic and damn right greedy attempts to reboot some classic home grown games, EA have done it again. Normally I start my reviews with a question to give the reader a chance to make their own mind up when reading one of my reviews. However this time I feel like I need to get the boot in first. The first thing you’ll notice when playing is this is not the console version, not at all. Put simply you start of with a random collection of “cards”, which are characters, and you assemble a three-fighter team to do battle with other teams and work your way up a series of ladder matches. You fight your way up and eventually fight a “boss”, once defeated unlocks the next set of matches, wash, rinse, repeat. Each fight uses up a portion of your team’s “energy”; each of the three characters in your team has an energy bar and each fight you enter will empty a section from it. Once depleted you cannot fight with those characters and must either swap them out for cards with energy or wait for them to refill. he average waiting time can be about 20-30 minutes or you can buy energy refill cards with in-app purchases. Charming. 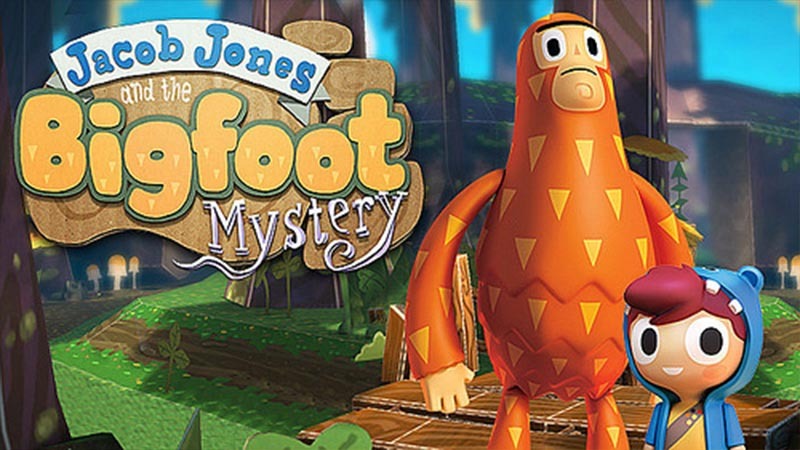 This word instantly comes to mind when I played Jacob Jones & The Bigfoot Mystery. I recently picked this up on PSN for under £2, it looked interesting enough to warrant a download but then I started playing… What a gem! This game is the most fun I’ve had on my PSVita for the last few months. This may come across as over-exaggeration but sometimes you just need a nice, simple game to refresh your gaming pallet. Jacob Jones comes from the developers Lucid Games. The UK team, based in Liverpool, consists of almost 40 people who have worked on previous games such as Project Gotham Racing, Blur and James Bond 007: Blood Stone. There is a hankering we all have I think for a good racing game that we can pick up and play for a short while on the way to work or other such activities and when we are done, have the ability to just put it down till next time. IOS is the perfect platform for just such a game. Is Nitro that game as well? The layout on-screen for Nitro looks great. Everything is where you expect it to be and where you can find it. All relevant information is displayed on-screen without feeling too crowded on the small screen. It’s all nice and colourful and everything has that nice retina display sheen that we have come to know and love. The choice of metallic shiny paint schemes for the cars and the colourful backgrounds of the racetrack all add to a quality feel to the game which, for a mobile game draws you in and makes you want to play more. With so many IOS games on the market it can sometimes feel a little crowded and frustrating to find the worthwhile titles out there. For me the perfect mobile game is one that I can literally pick up and play for 5-10 mins and then put down again until next time. The bigger, more in-depth games are reserved for the consoles. Phoenix HD pulls no illusions, it doesn’t pretend to be anything more than it is. A fresh, clean shmup that fits perfectly onto the iPhone screen. There’s no storyline or reason for your mission, you just take control of your craft and set about blowing the waves of enemies to smithereens. You start with one craft, the Phoenix but for a bit of cash via micro transactions you can take control of other craft such as the Corsair, the Mirage, the Shogun, the Trinity or the Phantom. In an over saturated free to play market, it’s hard to choose yourself a game that is worth your time and effort, and with the addition of in app purchases, a little of your hard earned cash. From Gung-ho Entertainment, the number one downloaded Japanese game on iTunes has finally made its way to the west. Find out if it’s worth your time here! I’m a huge sceptic when it comes to ‘free’ games nowadays. Almost everything on iOS under the ‘free’ banner seems to also be at the peak of the top grossing charts. Why? In app purchases, that’s why! Most of these games have some sort of lockout that stops your progression due to time barriers or ridiculous difficulty spikes, unless you pump some moolah into their greedy palms.